Once known as Siam, the Kingdom of Thailand is a long, skinny country running over 2,250 kilometres in length from top to toe. It shares borders with Myanmar (Burma), Laos, Cambodia and Malaysia. The capital is Bangkok. The time zone is UTC +7 (three hours behind Sydney and Melbourne, during Australian Eastern Standard Time). 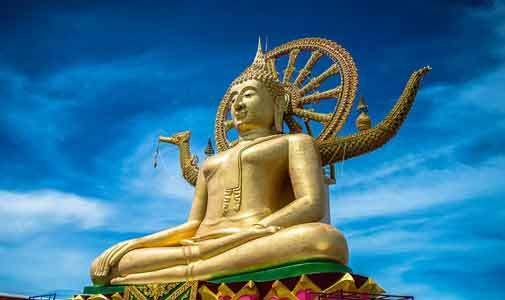 Thailand has a rich and lengthy history. A unified Thai kingdom was established in the mid-14th century. Known as Siam until 1939, Thailand is the only Southeast Asian country never to have been taken over by a European power. A bloodless revolution in 1932 led to a constitutional monarchy. In alliance with Japan during World War II, Thailand became a U.S. treaty ally in 1954 after sending troops to Korea and later fighting alongside the United States in Vietnam. Since 2005, Thailand has experienced several rounds of political turmoil, including a military coup in 2006 that ousted then Prime Minister Thaksin Chinnawat, followed by large-scale street protests by competing political factions in 2008, 2009 and 2010. Demonstrations in 2010 culminated with clashes between security forces and pro-Thaksin protesters, elements of which were armed, and resulted in at least 92 deaths and an estimated $1.9 billion in arson-related property losses. In 2011, Thaks’ youngest sister, Yinglak Chinnawat, led the Pheu Thai Party to an electoral win and assumed control of the government. A blanket amnesty bill for individuals involved in street protests, altered at the last minute to include all political crimes, including all convictions against Thaks triggered months of large anti-government protests in Bangkok, beginning in November 2013. In early May 2014, Yinglak was removed from office by the Constitutional Court and, in late May 2014, the Royal Thai Army staged a coup against the caretaker government. The head of the Royal Thai Army, General Prayut Chan-o-cha, was appointed prime minister in August 2014. The interim military government created several interim institutions to promote reform and draft a new constitution, which was passed in a national referendum in August 2016. Elections are tentatively set for mid-2018. King Phumiphon Adunyadet passed away in October 2016 after 70 years on the throne; his only son, Wachiralongkon Bodinthrathepphayawarangkun, ascended the throne in December 2016. He signed the new constitution in April 2017. 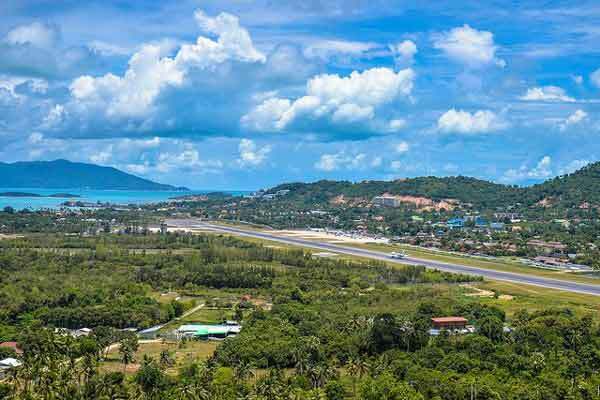 With 76 provinces and a population of almost 70 million, the country has been known as Thailand since 1939 when the name was officially changed from Siam. It briefly reverted back to the old name from 1945 to 1949. About 75% to 95% of the population is ethnically Thai, with almost 40% of its residents having partial Chinese ancestry. The remainder of the population consists of Thai Malays, Mons, Khmers and various hill tribes. Thailand’s climate is diverse and ruled by monsoons. Northern Thailand experiences a rainy season, which can last from July to November. From then until February it is fairly dry, but a good deal cooler. March until June is the hot season, when daytime temperatures can easily reach 40 C. During the cool season, night-time temperatures rarely fall below 12 C.
The southern half of the country has only two seasons, wet and dry. The wet season can last from July until October/November, with the rest of the year being dry and cooler. Temperatures in the south don’t vary that much throughout the year. The official language is Thai. Most professionals speak English, and most expats who live in recognised expat and tourist areas don’t bother to learn the language. However, don’t expect to find too many English speakers if you go “up country” into rural regions such as Isaan. Economically, Thailand has had its ups and downs. From 1985 to 1996, Thailand had the world’s highest economic growth of 12.4% annually. By 1998, the economy had contracted by 10.8% before it slowly began to recover the following year. During the first few years of the new millennium, growth averaged between 5% and 7%. However, political uncertainty leading to a decline in investor and consumer confidence sank the economic growth to a low of 0.1% by 2011. After struggling back to GDP growth of 7.5% by 2011, the economy once again seems to be on a downward trend following the coup of May 22, 2014. The interim government is implementing a special $14.3 billion short-term stimulus package and has approved a budget of more than $104 billion to aid an economic rebound. 1.Thailand is the only Southeast Asian country that was never colonised by a European country. 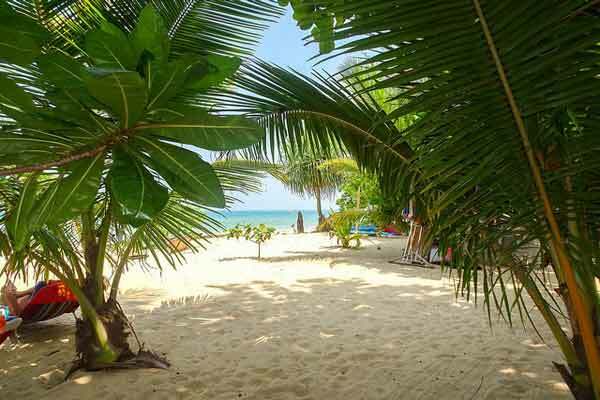 In fact, in the Thai language, the name of the country is Prathet Thai which means “land of the free.” Very fitting! 2. Thailand is where you’ll find both the smallest and the largest creatures. The smallest mammal in the world, the bumblebee bat, calls Thailand home. You can also find the largest fish, the whale shark, in Thai waters. 3. People often marvel at the forests and jungles of Thailand, but there used to be more. What most people don’t realise is that over 100 years ago, hardwood forest covered nearly all of northern Thailand. Today, about a quarter of that forest is left. For this reason, Thailand has completely banned logging. 4. Thailand loves its King and shows great respect for the monarchy. The well-known Hollywood movie “The King and I” was never shown in Thai theatres because it was considered to be derogatory to the King. How serious are they about their King? Thailand has the lese majeste rule, meaning that if you commit disrespectful acts toward the King, being imprisoned for treason could be your fate. 5. There are about 35,000 temples in Thailand. 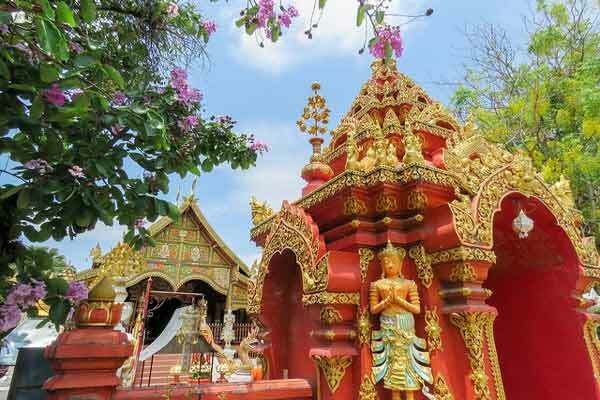 Thailand is truly a land of temples. Visiting them requires modest clothing, meaning no shorts or sleeveless shirts. 6. Thailand is home to many, many animals. About a tenth of all of the animal species on the planet call Thailand home and a tenth of all bird species. To put that into perspective, Thailand has more birds than Europe and America combined! 7. 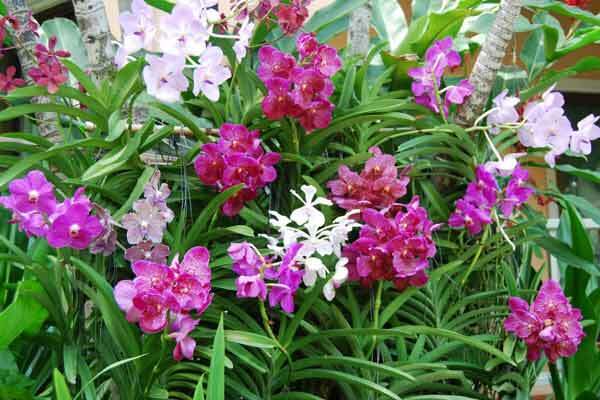 The national flower of Thailand is the orchid. If you love exotic flowers, you’ll be pleased to know that 1,500 orchid species can be found growing wild in Thai forest. There’s a reason why it is one of the world’s largest orchid exporters. 8. A smile can go a long way, and you’ll find more smiles in Thailand than just about anywhere else. In fact, it’s sometimes known as the “Land of Smiles” because the people of Thailand seem to be always ready with a smile. They are a peace-loving culture, desiring harmony over conflict. 9. Thailand most exported crop? Rice, of course! Think of all the tasty Thai dishes that you love. Rice is a staple in Thai cuisine.